Since the divestiture announcement is now out, I figured it might be good to reflect on the past, New Year stylee, by talking a bit about the beliefs underpinning Indie Royale. Indie Royale [Wikipedia page] is the independent video game bundle site that I co-created for my employer UBM (GDC, Gamasutra, etc!) in association with download store Desura back in October 2011. I’ve done most of the ‘A&R‘ – game selection/ordering – for Indie Royale to date. So, since I first talked about Indie Royale on this very blog, we’ve featured 28 bundles and more than 100 top-quality PC, Mac and Linux indie games. We’ve distributed over 500,000 bundles and more than 2.5 million games – grossing millions of dollars for devs along the way. But it’s been interesting to see the field for discounted independent PC games (both singles and bundles) rapidly fill. And in working long-term on the site with wonderful folks like Desura‘s Scott Reismanis and his crew – as well as in-house stars for us such as Bethany Coambs and IndieGames.com‘s John Polson, I feel like there’s some lessons on – well, style – I wanted to get across. – Do the deal with the people who _made_ the game. The first rule may seem obvious, but you’d be surprised on the amount of other ‘indie’ bundles resorting to signing games via mass publisher deals. These are deals where it’s easy to pick up a big chunk of Steam keys, but the amount of the money flowing back to the creators is unclear. IR has done a couple of deals through publishers, where we felt it necessary to get an outstanding title – for example, the enchantingly macabre Russian indie The Void. But we did check with the game’s creator Ice Pick Lodge to ensure they were fully aware and approving. – Use the games that players think they want, to expose them to others they should want. One thing Indie Royale has always done is to pick non-Steam titles which we felt deserved a lot more exposure. I think some thought we were trying to stealth promote Desura, which added the non-Steam games. Well, not really – we were just seeing a lot of great underexposed indie content out there. In particular, I’m proud of titles like Michael Molinari’s lovely, poignant Basketbelle, which had sold less than 200 copies before IR, and added another 9,000 during the bundle. Vertigo Gaming’s The Oil Blue is another unique title that sold 10x or more its lifetime sales during a bundle. And I’m sure there will be a lot more to come. – Look outside of already-released PC titles to find those who benefit even more from bundles. We haven’t just stuck to games you can get right now – an area that Indie Royale has done particularly well in is Xbox Live Indie Game to PC conversions. Our exclusive ‘first time ever on PC’ debuts have been topped by DLC Quest, which got TotalBiscuit-ed all over the place, and actually got more copies of the XBLIG version sold, thanks to post-IR word of mouth. Other smaller in scope XBLIG to PC titles that got a bunch more profile (and hopefully $!) than they would have otherwise include the subsequently Steam-approved Dead Pixels, all three awesome Magical Time Bean-created games (Soulcaster I, II, and Escape Goat), and the Unity-adapted versions of RadianGames’ excellent shooters – his top revenue source for 2012. – Price is important, and too much price erosion is bad. This may sound a bit rich, but at this stage, I think Indie Royale is the only bundle with a reasonably ‘large’ minimum price. Even after that, our average payment per bundle is around USD $6.50 for about 5 games. But where you don’t have the titles to back it up, and you try to replicate the Humble ‘$1/no minimum’ style, you’ll start dipping below the ‘$1 per game’ threshold that I think starts to get a bit destructive for game value. The other bad thing with too-low averages is that the Steam key resellers start coming out in force. Interesting, I think there’s some argument – based on what I see in forum commentary – that people see two games they really want in many Indie Royale bundles. So they’re really seeing the act of buying the bundle as a ‘$3+ per game’ transaction – with some free bonuses. That’s somewhere a little above the threshold where I worry about value destruction – YMMV, of course. – You shouldn’t (exactly) follow the leader, but be prepared for backlash when you don’t. Obviously, Indie Royale was the first game bundle site to come out after Humble, clearly one of our biggest inspirations. But we thought it important to put our own twist on things – thus the variable price, the higher minimum, the loyalty bonuses, and a number of other changes. But some of our differences – particularly not forcing devs to have a Mac or Linux build, and not all titles being on Steam – got us a bit more of a messageboard kicking than we expected at times. We also didn’t include charity contributions as default – instead opting for a separate All-Charity Bundle that netted $25,000 for charities including Amnesty International and UNICEF – another point of controversy at times. But seriously – why even bother if you’re going to clone directly? Having its own ‘flavor’ is one of the reasons people appreciate Indie Royale, and part of the flavor is in the mechanisms, models, content choices and aesthetics (big shout-out to Jessica Chan for the last of these!) I’m proud of what we’ve done with those to date. – Do deals with game creators at the correct, respectful time in their product lifecycle. This is a little tricky to manage at times, particularly when games haven’t launched as successfully as their creators have hoped. But game bundles are meant to be part of lifecycle management for your title’s sales. 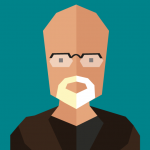 Anyhow, the shrewdest developers get this – for example Dave Gilbert of Wadjet Eye Games, who we’ve partnered with for a whole scad of awesome adventure titles (from the Blackwell Trilogy to Gemini Rue and beyond.) He has a time threshold beyond which his game sales are getting ‘long tail-y’, and he’ll bundle with us – smart guy! – Go outside games – but within game culture – for value adds. This has become a bit more of a trend of late, but my love of chiptunes and electronica have come in handy on Indie Royale, having run net.label Monotonik for a fair few years. Thus was birthed the concept of having a ‘pay X and get a neat music album’ concept. In the same way that awesome game curation matters, having great quality gamer-friendly music – unrelated to the OSTs – has been a great differentiator for us. Some of my favorite bonus albums to date are the amazing ‘Insert’ by Prof. Sakamoto or Yoann Turpin’s supremely jazz-funky ‘Rhythm ‘N Bits’, the latter made possible by a recent hookup with Ubiktune. And now we’ve handed over the reins partially on Indie Royale, I may (or may not, hah!) have time to pursue Triselector, which is a long delayed personal project that’s an attempt to take music curation a step further. But good quality IR bonus albums will continue as well, naturellement. Anyhow, I’m really looking forward to seeing what the future holds for Indie Royale (and indie bundles in general!) As for the bundle naysayers – it’s true there’s elements of fatigue out there in bundle-land. Heck, sites like The Backloggery wouldn’t exist if there wasn’t. But I still believe that limited-time bundles are a smart and useful part of managing your indie game’s publicity and long-term lifecycle – the continued success of Humble Bundle and recent IR bundles like The Fall Bundle show their net positive effect on the landscape. And I’ll still be involved in consulting on the kind of neat content for Indie Royale, hopefully for months/years to come. Thanks again for your support of the concept so far, and I hope you’ll all keep supporting IR and related products into the (far!) future.